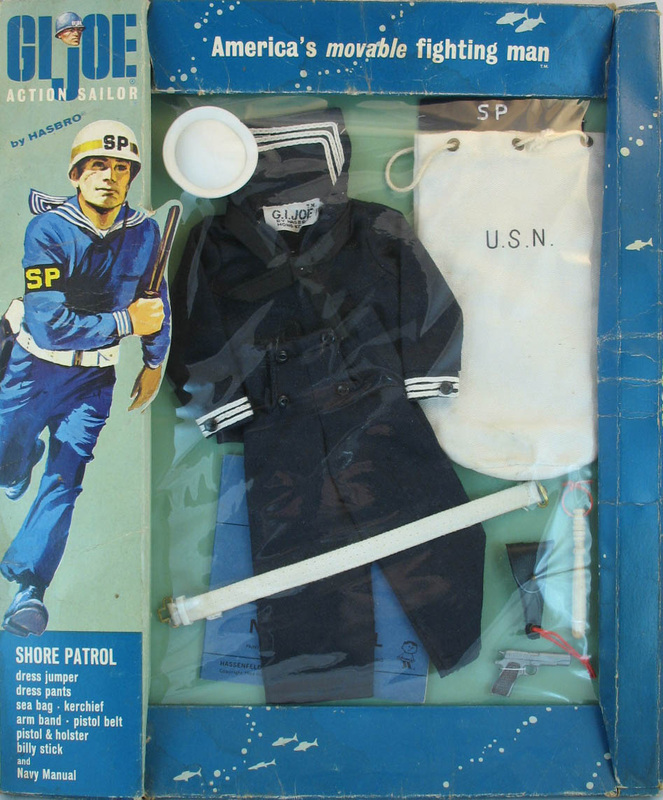 Shore Patrol (7612) provided the sailor with the traditional 'crackerjack' navy uniform. 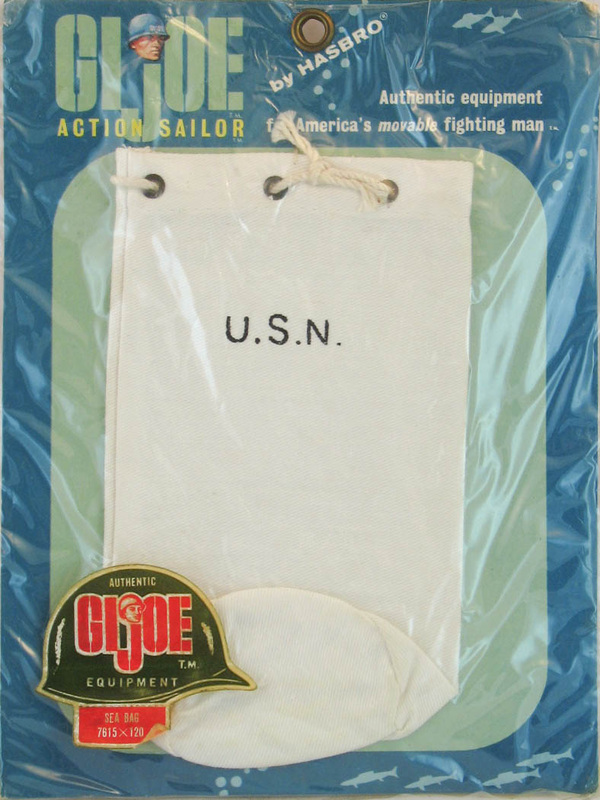 To fully outfit a SP sailor kids had to buy a separate helmet card. 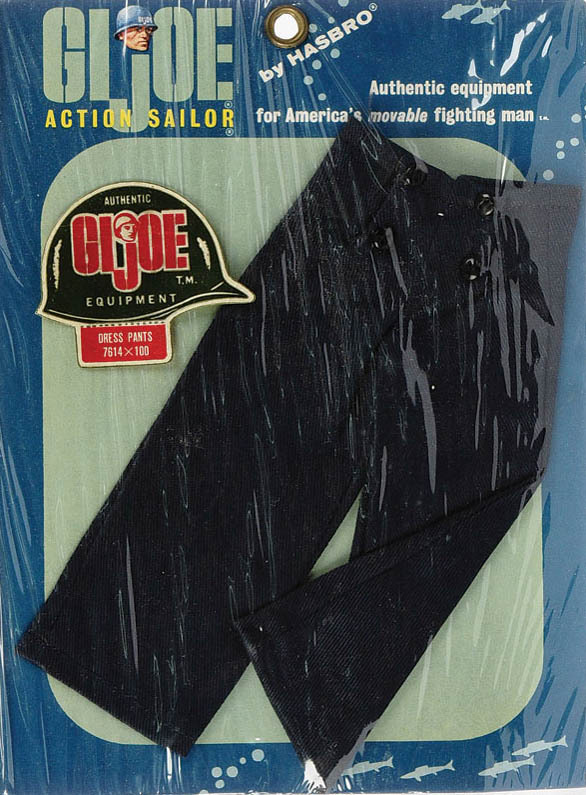 The early issue set in the spin above has a blue kerchief as opposed to the more common black version. A selection of SP small cards including the Helmet (7616) and Sea Bag (7615), above, the Jumper (7613) and Dress Pants (7614) below,and the Dress Parade (7619) card below them, left. 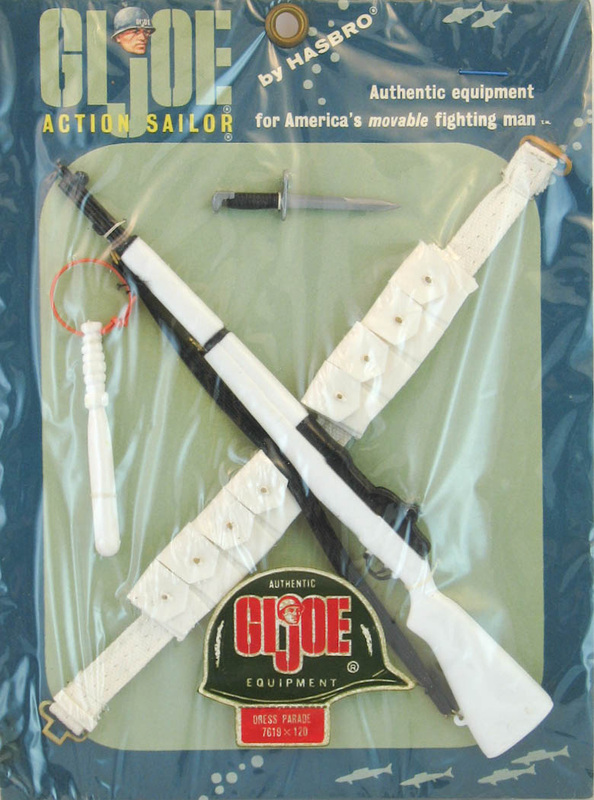 Dress Parade was the only place to get the unique white billy club. Two images directly below copyright and courtesy of Vectis Auctions Ltd. 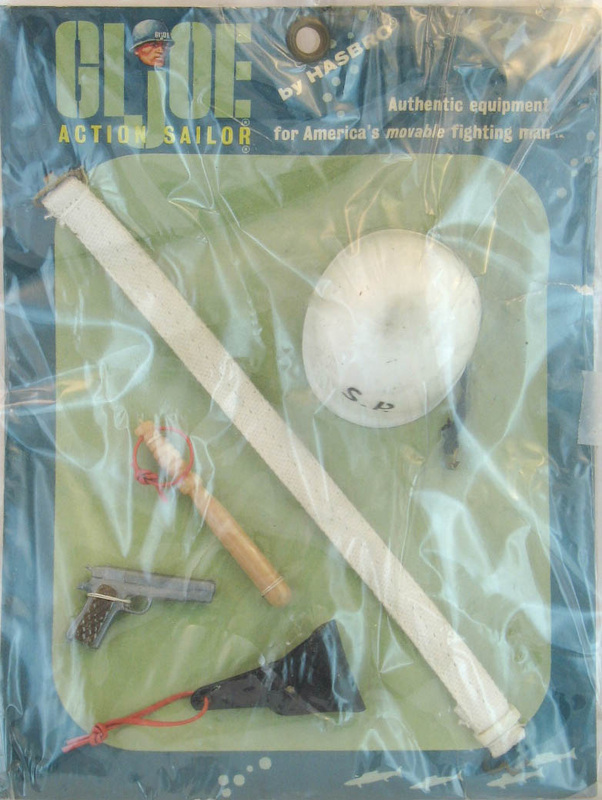 There was another version of the set issued in 1967 with some significant variations. This earlier version has a zipper on the tunic that only reaches to the armpit and a felt armband with a hook and eye closure. 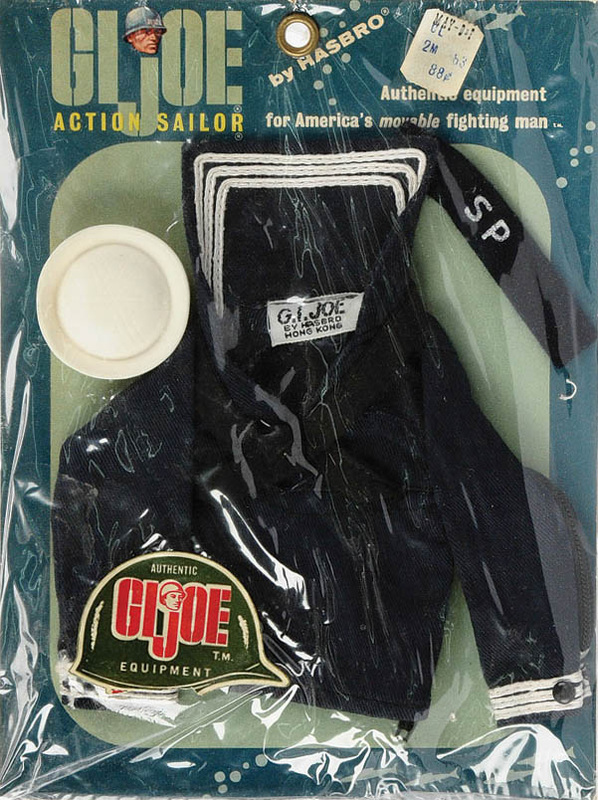 The helmet lacks the stripe of the '67 set, and the earlier version has a Sea Bag.